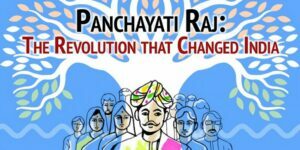 National Panchayati Raj Day is celebrated every year on 24th April by the Ministry of Panchayati Raj. Then Prime Minister of India Manmohan Singh declared the first National Panchayati Raj Day on 24th April 2010. This day marks the passing of Constitution (73rd Amendment) Act, 1992 that came into force with effect from 24 April 1993. The Constitution of India recognizes Panchayats as ‘Institutions of self-government’. It permits states to take steps to organize village panchayats and provide them with necessary powers and authority to help them to function as units of self-government. 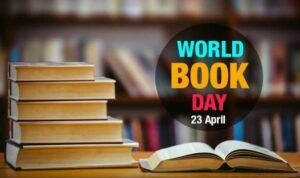 World Book Day is celebrated every year on 23 April. It is also known as World Book and Copyright Day, or International Day of the Book. It is organized by the United Nations Educational, Scientific and Cultural Organization (UNESCO) to promote reading, publishing, and copyright. 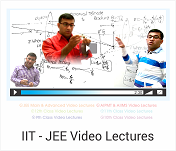 It was first celebrated on 23 April 1995. For the year 2019, Sharjah, UAE has been declared as the World Book Capital. 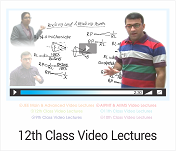 It will be preceded by Kuala Lumpur, Malaysia in the year 2020. 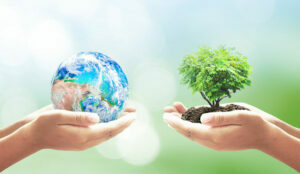 Earth Day is an annual event celebrated on April 22 Worldwide. It was first celebrated in 1970. The theme for Earth Day 2019 is to ‘Protect Our Species.’ This theme is created to focus on the destruction caused to plants and wildlife populations mainly due to human activity. The World Creativity and Innovation Day (WCID) is celebrated every year on 21st April to encourage people to use creativity in problem-solving for all issues related to achieving the 2015 Sustainable Development Goals. 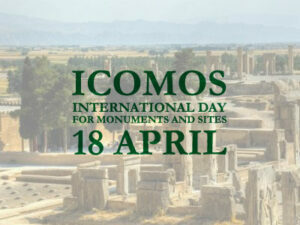 In 1982, ICOMOS (International Council on Monuments and Sites) established 18 April as the International Day for Monuments and Sites. UNESCO approved it the following year during its 22nd General Conference. The theme for International Day for Monuments and Sites 2019 is ‘Rural Landscapes’. The World Allergy Organization has organized the World Allergy Week 2019 globally from 7-13 April 2019. 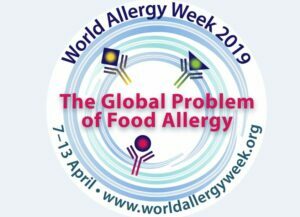 The theme for World Allergy Week 2019 is “The Global Problem of Food Allergy”. Each year, the World Allergy Organization addresses a different topic that has a need for greater awareness. 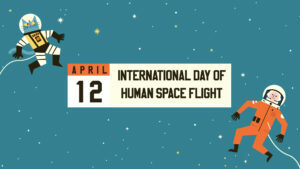 The General Assembly declared 12 April as the International Day of Human Space Flight to celebrate each year at the international level the beginning of the space era for mankind. 12 April 1961 was the date of the first human space flight, carried out by Yuri Gagarin, a Soviet citizen. This historic event opened the way for space exploration for the benefit of all humanity. 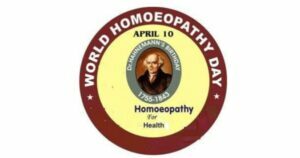 The World Homoeopathy Day 2019 will be observed across the world on April 10 to commemorate the birth anniversary of the founder of Homoeopathy, Dr Christian Fredrich Samuel Hahnemann. On the occasion of the World Homoeopathy Day 2019, the Central Council for Research in Homoeopathy (CCRH), an autonomous research organisation under the Union Ministry of AYUSH organised a two-day convention at Dr. Ambedkar International Centre in New Delhi. 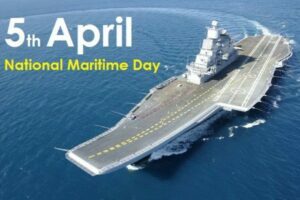 In India, the National Maritime Day is celebrated every year on April 5. The day was first celebrated on April 5, 1964. The theme of the 56th edition of the National Maritime Day is “Indian Ocean-An Ocean of opportunity”. Hundred years ago, on this day in 1919, navigation history was created when SS Loyalty, the first ship of The Scindia Steam Navigation Company Ltd travelled to the United Kingdom. International Mine Awareness Day (IMAD) is organized across the world on 4th of April to foster the establishment and development of national mine-action capacities in countries. The Theme for IMAD 2019 is “United Nations Promotes SDGs – Safe Ground – Safe Home”. 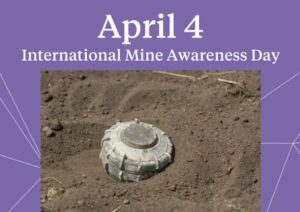 On 8 December 2005, the General Assembly declared that 4 April of each year shall be observed as the International Day for Mine Awareness and Assistance in Mine Action.